The Graduate Aptitude Test in Engineering (GATE) is an All-India Examination conducted by the five IITs and IISC, Bangalore, on behalf of the Ministry of Human Resources Development (MHRD), Government of India. The objectives of GATE is to identify meritorious and motivated candidates for admission to Postgraduate Programs Engineering at the National level. Every year one IIT or IISc is selected as the Organizing Institute. 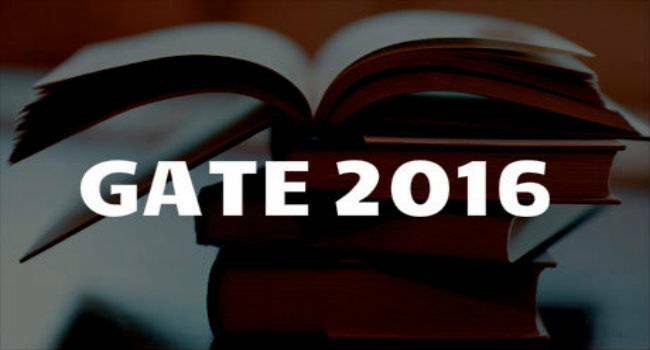 The candidates studying in the final year or passed engineering or Master of Science courses are eligible to sit in the GATE 2016 examination conducted by the joint committee of IIT’s and IISc. The GATE scores is used for admission to PG programmes in the field of Engineering (i.e. M.E/M.Tech and direct PhD) in IIT’s, IISc and various other government and private institution located across the country. The GATE score is also used by various private and Public sector companies for screening candidates for employment purposes. To pursue M.Tech program in a leading institute of the country. The benefits of M.Tech are:More and better companies are coming for Campus Placement in leading Institutes. Higher salaries are being offered for M.Tech as compared to B.E. M.Tech degree leads to specialization and furthering of interest in a certain area which may lead to Ph.D. M.Tech degree is a must for those wishing to apply for Faculty/Research positions in educational Institutes/R&D centers. Scholarship is paid during M.Tech, so no headache to parents for financial requirements. The M.Tech program is a 3 semester (18 months) program; so get more time to work out career opportunities. Examination Details:The examination is a single paper of 3 hours duration and generally consists of Section A (Objective Type) which is of 75 marks and Section B (Problem Type) which is of 75 marks.Total: 150 marks. Students who're appearing for GATES exam should check the exam patterns earlier to know the types of question and its base marks. The multiple choice questions will carry 1 or 2 marks, these questions will have 4 alternatives for every question, and the candidates will have to answer only one correct response. Online Car Loan EMI calculator to calculate Equated Monthly Instalment. calculate your Loan Emi for car Loan. Click here to check out the top list of oppo F3 plus phones with their prices, specifications and reviews. Know the complete information about LIC India Policy Status.